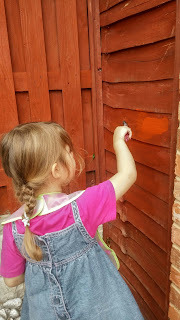 After my Park Run today we spent time in the garden and painting the fences. 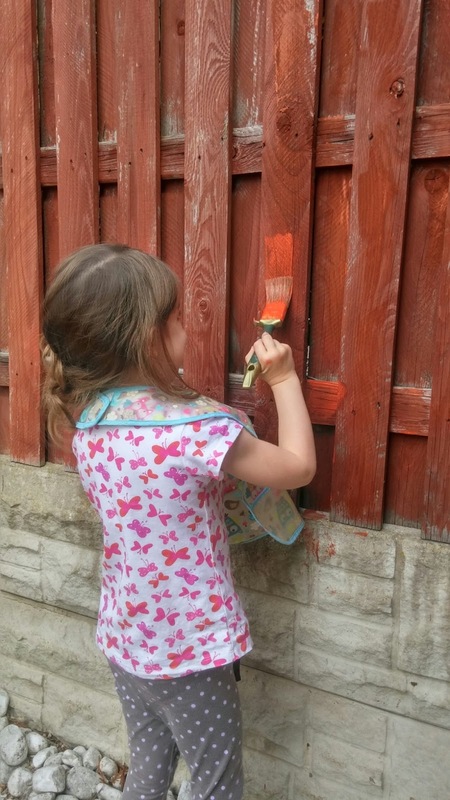 After living in the house for 3 years they are long over due painting. The girls were content riding their bikes but then decided to help. At first they seemed to get on OK, listening and behaving and painting the fences. It looked as thought they had done a good job, although they did get a bit silly at one point. 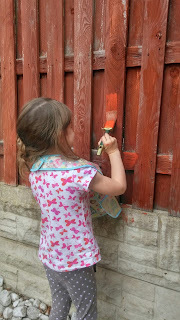 It turned out this silliness had meant paint had gone through the fence and onto next doors car. I was mortified when next door rang our bell and unable to offer anything other than an apology. Luckily the paint has come off but I don't think the girls will be helping me paint the fence again, I only hope next door are not too angry with us and can forgive us.